July 4th is upon us! Every year we come together to celebrate our American independence, which means grilling, games, drinking, parades, and of course fireworks. 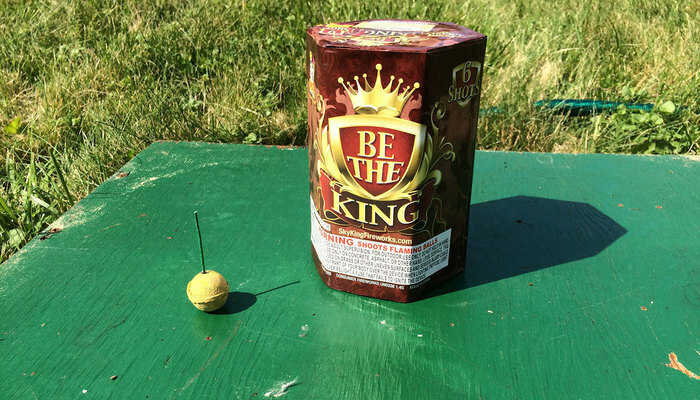 While fireworks are a true American tradition, they need to be treated with respect, and used carefully. In October 2017, my home state of Pennsylvania changed their law in regards to consumer fireworks. Now we are allowed to purchase roman candles, bottle rockets, firecrackers, and larger mortar and artillery shells, where as we were previously left with the snap, crackle, and pop varieties that you can find on your local Target or Walmart shelves. The increase in fire power comes with an increase in possible injuries, and a huge increase in responsibility for us backyard fireworks displayers. So I made a trip out to Easton, PA, where 4 massive fireworks warehouses are stationed within a few hundred yards of each other. This being my first trip to any fireworks shop of significance, I carefully poured over the catalogs and websites before choosing Sky King Fireworks over the other 3 stores. I tend to jump at those Buy-1-Get-2-Free deals. Here’s what I got, in the picture below. I didn’t go too crazy, I’m on a budget. And I do tend to lean more into the small novelty items, as I’m mostly putting on a show for my 8 year old daughter. She thinks things like the “Poopy Puppy” are hilarious. So do I. While the fireworks stores always hand you a list of helpful safety tips, it’s always a good idea to exercise COMMON SENSE. Always follow your local and state laws when it comes to fireworks, do not light fireworks in windy conditions, never use fireworks as a weapon, and only use fireworks outdoors. Children should NEVER handle fireworks. That includes sparklers. 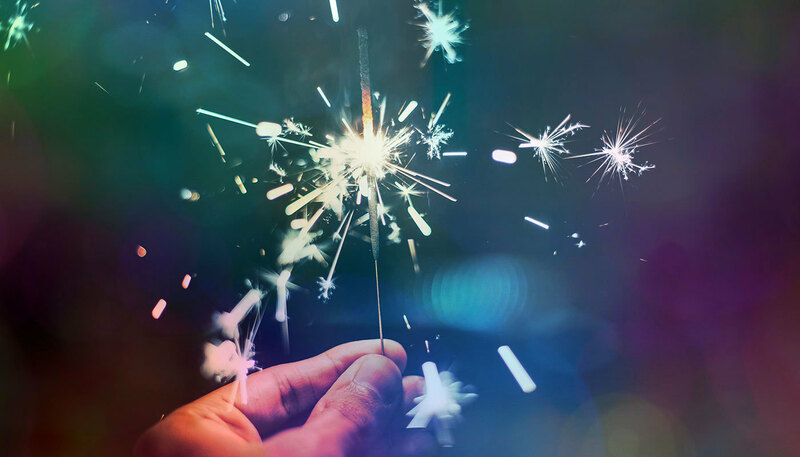 Though sparklers are generally considered safe for the masses, according to the 2017 Fireworks Annual Report from the U.S. Consumer Products Safety Commission, 14% of reported fireworks injuries are due to sparklers, which is the highest percentage of any individual device. Some sparklers have the capability of reaching temperatures of 2000 degrees. That’s something you don’t want anywhere near a child. Never light fireworks near a gas grill. You know... Murphy’s Law. Anything that can go wrong, will go wrong. Fireworks + gas grill = hazard. Keep your fireworks in a cool and dry location until showtime. Not in your hot car, not in your damp basement, and definitely not near your oil burner. NEVER take your dog to the fireworks show. Fireworks make loud noises and bright lights, which very often result in dogs panicking. When a dog panics, they can accidentally injure themselves, or a person, and often times will run away in fear. Fireworks are not entertaining for dogs. Set up a flat, level platform from where the fireworks will be launched. This platform can be a picnic table, or a strong piece of plywood, as long as it can be laid level on the ground. 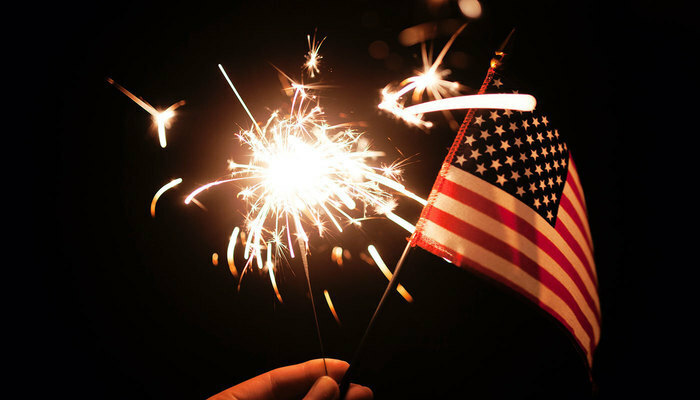 Never use fireworks in the grass, sand, gravel or rocks, as they are prone to not being perfectly level. You want the fireworks pointed to the sky, not to the audience. Make sure everybody maintains a safe distance away from all fireworks, even the small stuff. If a spark-shooting fountain suddenly falls over, you want to be certain that nobody will accidentally be caught in the crossfire. Keep a hose and a bucket of water on hand. The hose will be used to any fireworks that go haywire, so you can put out the flame before it gets too dangerous. The bucket of water is used to soak fireworks after they are spent. This help ensure that there will be no extra fireworks shows in the trash can on July 5. A completely sober, responsible adult should be in charge of the fireworks display. This person should NOT be smoking while handling fireworks, and should always be wearing eye protection. Only light 1 firework at a time, to minimize accidents. Below is a 4-stage show idea that you can be sure will please the entire audience. 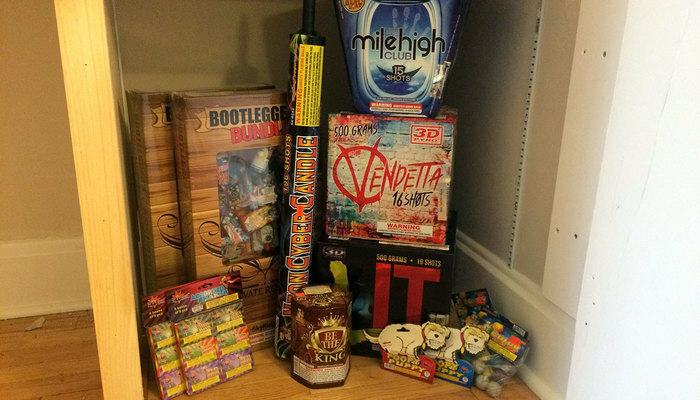 Items that are small and unique are a great way to get people interested in your fireworks display. Start with the sparklers, snaps, snakes, and other ground-game novelties. Move up to the tanks that shoot flaming balls out of their cannons, some loud firecrackers, strobe lights, spinners, and colored smoke balls. Set off a couple of sky lanterns if you have them, to signal the aerial display that is about to happen. Get those cracklers off the ground! Anything that is small, but can shoot above eye-level is fair game here. Break out the helicopters, roman candles, rockets, and crackling fountains. Some classic small bottle rockets are a great traditional way of starting off this stage, while some slow-falling parachutes are a great way to signal the end of this stage. This is when things start to really get loud. Call out all the neighbors with a steady barrage of medium 200 gram aerial repeaters, reloadable mortars, single shot tubes, multi-shot artillery shells, and whistling missiles. Use this aerial show as an opportunity to also use up some more of the small ground game that you have left, to help fill in the time between bursts in the sky. This is it. The moment everyone has been waiting for. It’s time to launch the big boys. 500 gram aerial repeaters, jumbo multi-shot whistling missiles, and products specifically marketed as ‘finales,’ that shoot multiple large fireworks in rapid succession. Mix in a few of the larger fountains for extra crackles, whistles, and bangs. That’s it! Be safe out there. Don’t attempt to shoot anything that scares you. You’re better off providing a smaller show than forcing a big show and having issues. Happy 4th of July!